BWL✈100M's tweet - "CONGRATULATIONS TO OUR VERY OWN MANNY "PACMAN" PACQUIAO! BEST BOXING CHAMPION EVER! YOU ARE A PHILIPPINE PRIDE INDEED! PROUD TO BE PINOY! 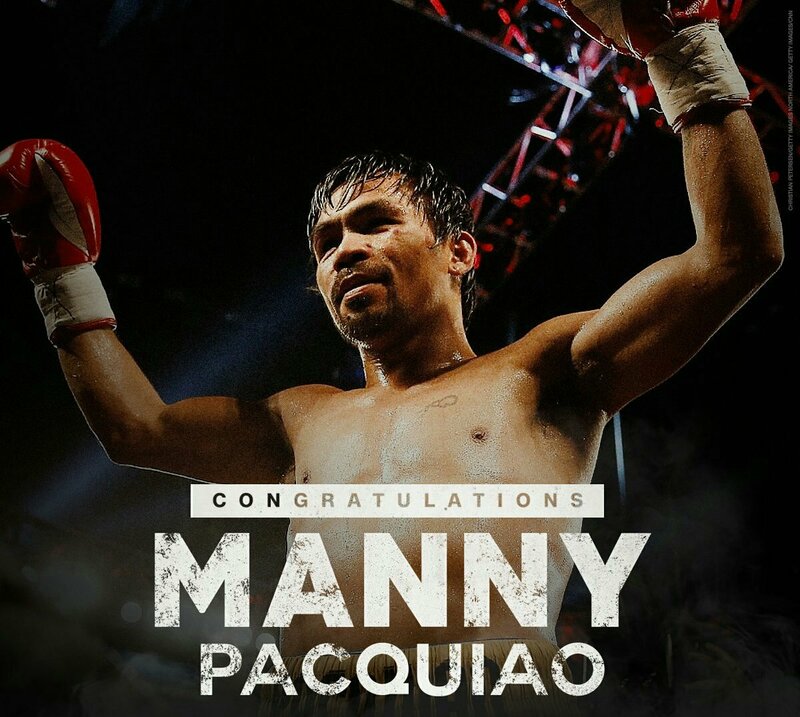 💪 #PacBroner "
CONGRATULATIONS TO OUR VERY OWN MANNY "PACMAN" PACQUIAO! BEST BOXING CHAMPION EVER! YOU ARE A PHILIPPINE PRIDE INDEED!